HOUSTON – (Realty News Report) – It takes a new calculus to make sense of the office market in downtown Houston today. Even though vacancy rates are high, Hines has just begun construction on a 47-story tower. Skyscrapers that were once held in high esteem may be falling from favor. 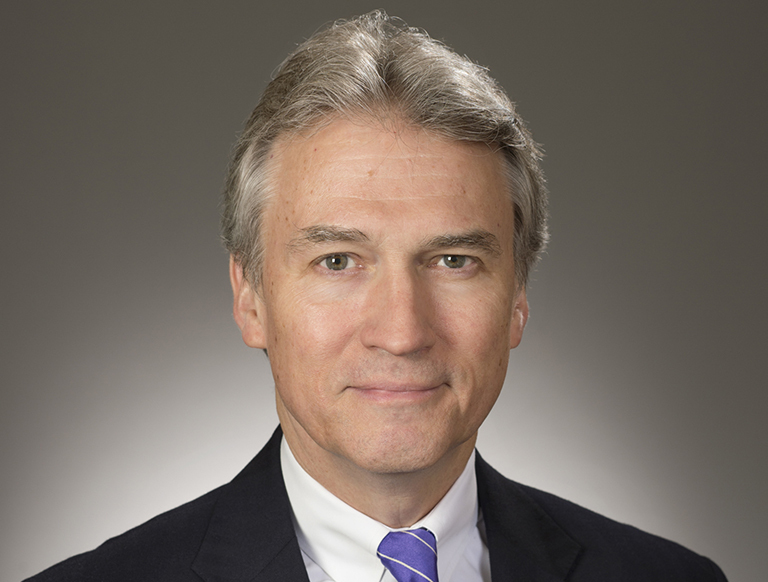 To learn more about the state of the CBD, Realty News Report spoke to Sanford W. Criner, CBRE Vice Chairman and native Houstonian. Criner has over four decades of experience in commercial real estate brokerage, development and consulting in numerous global markets including Moscow, Rio de Janeiro, Oslo and numerous other cities. A Rice University alumnus, Criner is heavily involved in civic affairs and was the founding president of both Scenic Houston and Scenic Texas and the former Chairman of the Hermann Park Conservancy. Realty News Report: Is downtown Houston still an attractive location for companies to locate? Sanford W. Criner: Yes, and that’s not opinion. It’s being proven in real time by the construction of Skanska’s 750,000 square foot Capital Tower and the new Hines building on the former Houston Chronicle site. Between the two, 1.8 million square feet of new space will be built in downtown, where we have 20 percent availability in Class A space. It’s unique over the last 35 years to have 1.8 million square feet of space being built with vacancy that high. The 20 percent available space suggests downtown is not doing well, but the new construction (and the leases that made it possible) tell a different story. So how do you resolve those two conflicting realities? Simply, it is a reflection of a change in demand on the part of many companies for a higher quality workplace than has previously been offered – and a willingness to pay for it. Since the 1980s, companies generally moved downtown only when it was inexpensive; they could get office space for less – Dynegy and Continental Airlines come to mind. There has not been a big influx of new tenants downtown and now we’re re-sorting the tenancy of Houston, in a more rational way. Realty News Report: Energy companies don’t seem to be leasing much space in downtown these days. Sanford W. Criner: Different types of companies now — law and professional firms and banks — are willing to pay higher rates to be downtown in high-quality buildings. They do that because they want quality of place that only downtown can provide. Downtown activities have been getting better for a long time and will continue to do so. Realty News Report: What’s the current downtown office vacancy rate compared to last year? Is occupancy getting better? Worse? Sanford W. Criner: In the 2018 second quarter, we saw the first positive Class A absorption in downtown in three years (just over 100,000 sf), so it’s getting better. But downtown still, as I mentioned, has 20% availability. So, while it is going to get better, it is still going to be a bumpy ride. What is critical to understand is that the downtown office market is not a single market but is increasingly a highly segregated market with very different demand factors. Those buildings that have traditionally been known as Class A are being re-sorted into three categories– buildings that are exceptionally high quality and generally new (AAA), those with good locations and good architecture and landlords that have the capital and desire to reinvest significantly (AA), and buildings which aren’t going to be renovated but just maintained (A or B). Although the real estate industry is somewhat slow to formally re-categorize these buildings (no landlord will want to say their building is a Class B building), the rental rates and occupancies of these three categories reflect this re-sorting with great clarity. So now we have AAA and AA and A buildings (and B and C, but being non-competitive, they make little difference here). Many of the buildings from 1980s will seek to compete, but they won’t be able to unless landlords are willing to invest. Brookfield, for instance, is making significant investments in Allen Center and we’re hearing discussion of investment in Houston Center as well. We’ll have to see if it occurs. The world of downtown Houston is changing with a new generation of buildings. Realty News Report: Do you think leasing in the CBD is stabilizing? To date, what’s been the biggest office lease in downtown Houston? Sanford W. Criner: Yes, leasing is stabilizing. It’s not the loss so much of ExxonMobil because that building wasn’t going to be competitive any time soon. The loss of Shell was significant, however, because Shell had a lot of space in pretty good buildings. That’s all part of the re-sorting. Engineers are moving into the suburbs and that’s pretty well run its course. The bulk of departures has hit already. Downtown has stabilized. It is not recovering fast, but it is recovering. The largest lease signed in the CBD this year is Vinson & Elkins LLP (212,000 SF) at the new Hines tower on the Chronicle site. This was just signed last month. Realty News Report: How will companies leaving the downtown area for suburbs change the CBD dynamics? Sanford W. Criner: I’m not sure it’s really changing the dynamics. ExxonMobil and Shell were relatively stable in the CBD. They hadn’t been growing. They were in their own buildings, where they had been for many years. Now they are gone. There weren’t a lot of energy service companies moving downtown to be close to Shell or ExxonMobil before; so, while their leaving has created substantial new vacancy, it hasn’t really impacted the appeal of downtown for other firms. What has happened is that demand has moved from energy-related firms to law firms and other professional and finance firms who are willing to pay the higher rates in the best, newest buildings. Realty News Report: What about new buildings such at 609 Main @ Texas and Aris Market Square (residential)? How are they affecting the downtown marketplace? Is the new residential development downtown helping the office market? Sanford W. Criner: Absolutely. There seems to be a demonstrated need for new high-end space and that need has been responded to by Skanska and will be by Hines. In decades past, the office market would have been looked at independently of everything else downtown: corporations wanted to be downtown and it didn’t make a difference whether there was residential and retail downtown. That is no longer true. The trend across the country in towns large, medium and small is a revitalization of downtown into a live, work, play environment that is walkable and appealing. Look at what’s happened downtown now — the noncommercial features that have cemented downtown’s future: Minute Maid Park, the performing arts theaters, Discovery Green, and Toyota Center. They had nothing to do with office buildings, but they were important in creating the place where people – and, increasingly, corporations – want to be. A huge amount of residential has been built downtown and the result is a more robust downtown environment. Realty News Report: Midway and Lionstone Investments have redeveloped and repositioned The JPMorgan Chase Building — formerly the Gulf Building — as well as the neighboring 708 Main structure in a complex renamed The Jones on Main. Do you envision a lot more of this repositioning downtown? Sanford W. Criner: It’s going to continue, but I would not focus on just office buildings being renovated. Wherever you’ve got potential high-quality real estate assets, people are going to figure out ways to improve them whether it is taking the old Texaco or Gulf Building and improving the public areas, adding food hall or whatever. There will be continuing recognition of high quality architecture. Realty News Report: Is the tunnel system still important? Or would it be better to just fill it with concrete and shut it down? Sanford W. Criner: Houston’s tunnel system isn’t going away. It won’t change. It will continue to be what it is today. However, there will a lot more retail development at the street level. Support retail for office building users has always been in the tunnel. High end retail will be coming back to CBD. As late at the ‘70s, people went downtown to see first run movies, to go to restaurants, and to shop. That part of downtown pretty much disappeared and fortunately it’s coming back. Realty News Report: What were one or two major leasing transactions that transformed the CBD over the past two decades? In what ways? Sanford W. Criner: The most transformative lease in the last two decades was actually something of a hybrid: The Chevron consolidation into the former Enron Buildings, one of which they bought, and the other of which they leased and later bought. This is by far the most consequential occurrence in the CBD market in many, many years. At the time, there was no consensus on when or if the CBD office market would recover. Chevron, by itself, answered that question and pointed the way to a renaissance in the CBD office market. Realty News Report: What do you see for the future of downtown, say 10 years from now? Sanford W. Criner: Nothing but good things. Downtown will continue to be a more and more vital and important part of the city. People are demanding places to go with street life and cultural events and that’s what will make downtown Houston more successful — not just a demand for office space. The future of the downtown Houston office market will be a function of the success of downtown Houston as a place to live, work, and play. Our success in creating a walkable, entertaining, fun, beautiful, connected area will make the office market a continuing success.